The British and Irish Lions Tour 2013 will start from June 5th until July 6th 2013 and see the Lions, who will be coached by current Wales boss Warren Gatland, compete for the Tom Richards Trophy. As well as facing Australia over three tests throughout the tour period, the Lions will also play all five Australian Super 15 sides and a New South Wales – Queensland Country team. The five Australian Super 15 rugby sides are Western Force, Queensland Reds, New South Wales Waratahs, ACT Brumbies and the Melbourne Rebels. Before the Australia tour, the team will play against The Barbarians on Saturday 1st June in Hong Kong. The first test match will be held in Brisbane on the 22nd June, the second in Melbourne on the 29th June and the final test match in Sydney on the 6th July. The Lions have won fifteen of their twenty test matches against Australia and are favourites to win the summer tour. This year’s Lions squad is expected to be packed with a large English and Welsh contingent after both countries had a strong Six Nations. Players from Wales, such as Leigh Halfpenny, Alex Cuthbert, Jamie Roberts, George North and Toby Faletau, along with England players Manu Tuilagi, Joe Launchbury, Danny Care, Owen Farrell and Chris Robshaw all impressing in the tournament, their place on the tour seems imminent. Despite their teams not playing their best rugby during the tournament, Scotland players Stuart Hogg, Tim Visser and Richie Gray, as well as Ireland’s Sean O’Brien, Jonathan Sexton, Cian Healy and legend Brian O’Driscoll, all played well and made great cases to be included on the tour. Those above are just a small number of players who have excelled recently and many others face a call-up to the Lions squad. But, they will have to wait, however, as the final squad is not expected to be confirmed until late April. The three test matches of the tour will be hosted in three different stadiums throughout the country. The Suncorp Stadium in Brisbane will host the first test and has a capacity of 52,500. The second test in Melbourne will see the Lions visit the 53,359 seater Etihad Stadium and the last test will be played at the massive ANZ Stadium in Sydney, which has a capacity of up to 84,000. 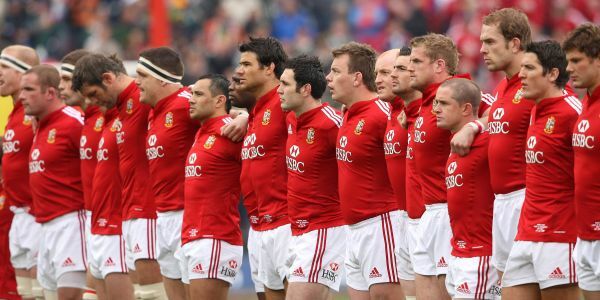 The British and Irish Lions have played thirty-one tours in total, dating all the way back to their first in 1888. They normally tour the three Southern – hemisphere nations of Australia, New Zealand and South Africa but they have also toured Argentina three times in the past. They have won fourteen of their tours overall. The last British and Irish Lions tour saw the side visit South Africa in May 2009, where they narrowly lost the first two tests before winning a consolation test 28-9, meaning they lost the overall series 2-1.